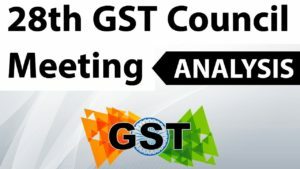 On 4th May 2018, Goods and Service Tax Council (GST Council) in its 27th GST Council Meeting finally approved the filling of new return based on the recommendations of the Group of Ministers on IT. Along with that it also announced a few rate changes and some structural changes in the shareholding pattern on the GSTN. Periodicity: Under the new regime, a single return will be filed by every taxpayer, except few like composition dealer, on monthly basis unlike multiple returns filing under the existing system. Due date of return filing will depend upon turnover. A dealer with nil transaction may file a quarterly return. Under the new system, uploading of invoices will be unidirectional by the seller. Seller may upload such invoice at any time during the month and such invoice will be available to the buyer on a real-time basis. Buyer will not be required to upload purchase invoices separately. HSN of 4 digits or more will be required on all B2B invoices to achieve uniformity. Simplified return: The system will automatically compute GST liability based on the uploaded sales details and it will also automatically calculate Input tax credit based on sales invoice uploaded by the supplier. To control misuse of Input Tax credit, person defaulted in payment of GST will not be allowed to upload sales invoice and accordingly, no credit will be available to the buyer on purchases made from such supplier. Stage-1: will be the present system of filing of GSTR-1 and GSTR 3B. GSTR-2 and GSTR-3 will continue to suspend. This stage will continue for not more than 6 months. Stage-2: The new return will have an invoice wise sales uploading facility will be available; however, input tax credit will be available on a self-declaration basis. This phase will continue for next 6 months. Stage-3: In this stage, credit will be automatically computed by the system based on invoices uploaded by the supplier and window for provisional credit will close. Sugar Cess implementation has been postponed. The government believes that for the benefit of the farmers there should be a better way to increase revenue. Duties on Ethanol – Reduction in rate suggested. A group of ministers is expected to work on above two mentioned points and make recommendations within two weeks. With the government acquiring the remaining 51% equity currently held by the Non-Governmental Institutions so now the GSTN is a government-owned company. In future, the Central Government will hold 50% and State Governments the balance 50% of the stakeholding. Incentives here may need more time to come in force. For the next council meet, A 5 member council will work. The cap of the incentive will be Rs. 100 per transaction and the proposal is to give a concession of 2% on GST rates that are more than 3% on B2C supplies. Digital transactions will be increased by providing cash-backs, discounts, credits etc. 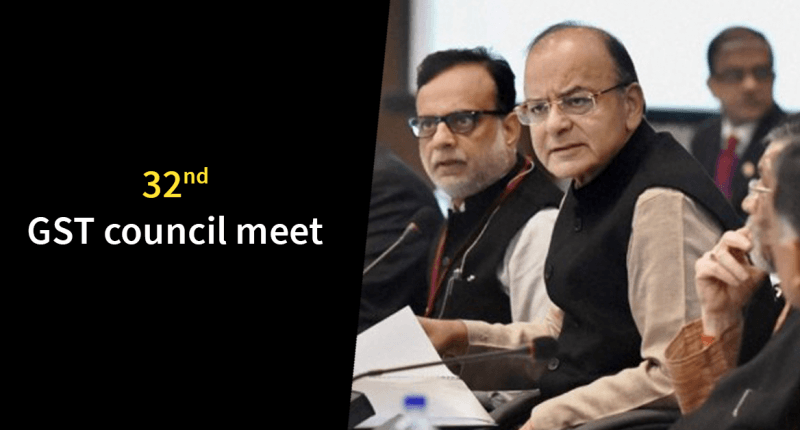 In short, the 27th GST Council meeting was a major game changer, as far as the simplified return filing process is concerned. Given the various initiatives discussed, proposed and finalized at the meeting, life for the business is surely bound to become simpler as far as GST compliance is concerned. 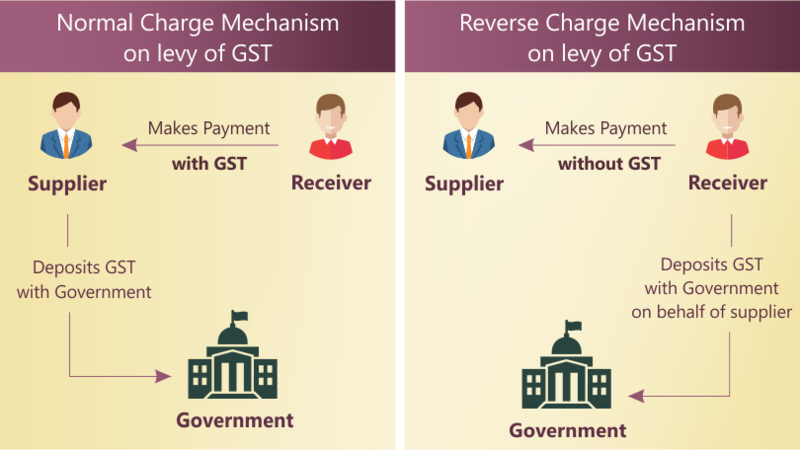 GST Reverse Charge Mechanism is basically the GST which is to be paid and deposited with the Government by the recipient of goods and services and not by the supplier of Goods and services. It is applicable on reverse charge basis for certain transactions specified by the government which means it is not applicable under normal circumstances. The recipient of goods/services must be registered under GST. Every registered business owner should maintain accurate records of supplies that would incur the reverse charge. The supplier should clearly state the invoice that the tax payable for that specific transaction is through the reverse charge. Similarly, the same should be mentioned on receipt vouchers and refunds vouchers. It is very important to ascertain the time of supply as GST would be required to be deposited with the Government within 20 days from the end of the month in which the services were provided. The date straight away after 30 days from the invoice date for goods and 60 days from the invoice date for services. Note: If none of the above applies, then it can also be the date of entry in the books of the receiver. Date of Receipt of Goods: 12th Oct. Date of Payment: 15th Dec. Date of entry in Books: 16th Oct. Note: If it is not possible to determine the time of supply, the time of supply shall be the date of entry in the books of account of the recipient. The Time of supply of service, in this case, will be 1st June will be considered. An automated tool can accelerate the government’s ability to track transactions while making survival for some small businesses easy by eliminating the cost of doing business. Intra-state usage of EWB to commence from 15th April 2018 of every a staged way. States to be partitioned into 4 parcels to execute this staged rollout. 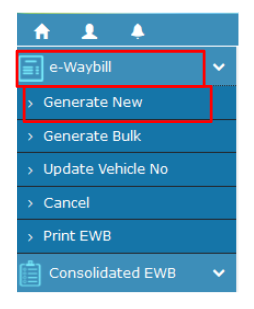 This topic covers the step of producing the eway bills on online E-WayBills portal. Registration on the EWB gateway. The Invoice/Bill/Challan identified with the relegation of merchandise must be close by. If transport is by rail, air, or ship – Transporter ID, Transport archive number, and date of the report. 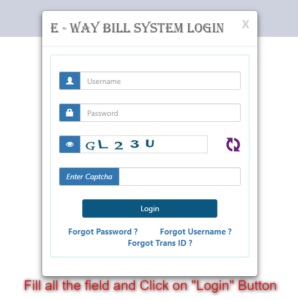 Step 1: Login to E-WayBill Portal. Select ‘Internal’ on the off chance that you are a beneficiary of dispatch. 5) Document Date: Select the date of Document or Invoice or challan. 6) From/To: Depending on whether you are a provider or a beneficiary, enter the To/From area points of interest. 8) Transporter points of interest: The method of transport and the rough separation secured (in KM) should be necessarily said in this part. Step 4: Click on ‘Submit’. The framework approves information entered and hurls a mistake assuming any. 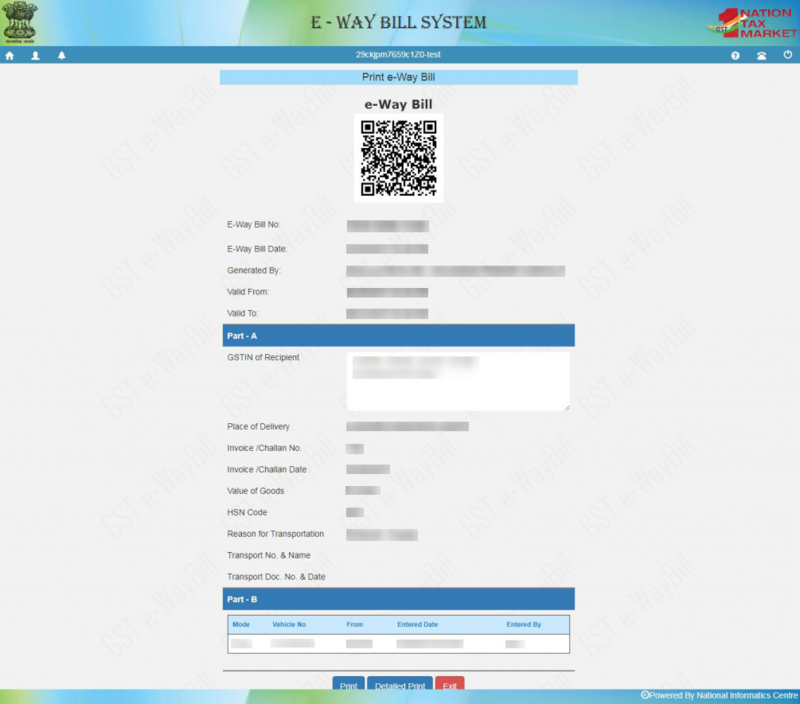 Something else, your demand is prepared and the E-WayBill in Form EWB-01 shape with a one of a kind 12 digit number is created. Print and convey the EWayBill for transporting the products in the chose method of transport and the chose movement. 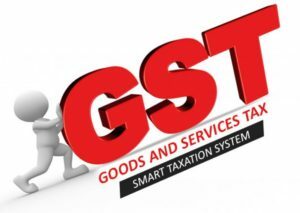 The nationwide goods and service tax (GST) has taken another turn in the past week. On 18th January 2018, the latest update to GST brought in an array of changes for businesses and consumers alike. The tax slabs have been revisited, along with the much-anticipated e-way bill introduction. If you are confused about the changes, read on for a clear understanding of the new updates! The other major updates has been the introduction of the new nationwide e-way bill system for interstate goods movement. From 1st February, 2018, interstate goods transport worth more than 50,000 INR will need to be secured by the seller through online registration. The transporter shall be required to carry a copy of the e-way bill thus generated as a proof of sale. The positive features of the e-way bill are that these only need to be verified once, and shall be created in standard formats across all states. A seller can also issue bulk e-way bills for multiple consignments, an issue which formed much difficulty earlier. However, what many people are considering a downside is that the recipient’s acceptance is required on the e-way bill within 72 hours, making long-standing consignments an impossibility. The e-way bill for interstate goods movement has already been rolled out on trial basis starting 16th January, 2018 to make the businesses transition smoothly, before it comes in effect starting February. 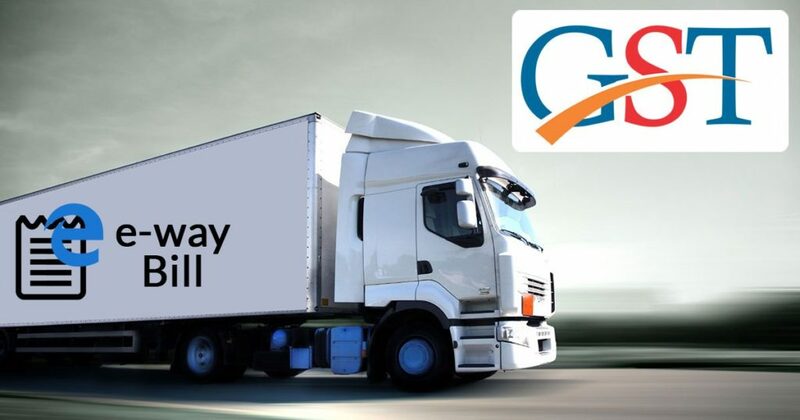 The e-way bill system for intrastate goods movement is expected to get in place by 1st June, 2018 as well. Since its introduction, GST has brought in a variety of opinions, right from the economists and political leaders to pundits and even the common man. It has been a good five months since GST came into effect, and we even had quite a few months prior for preparation. However, the general public still does not understand GST and its tax implications across various industry sectors correctly. 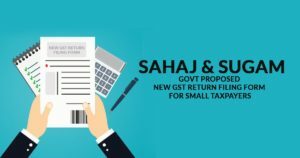 This blog is conceptualized as a short guide for beginners, covering the major pain points people have, the challenges and benefits they might face, and how far will the GST impact be felt. GST or Goods & Services Tax has been called one of the biggest tax reforms of the country. It has replaced all other applicable taxes, for eg., service tax, VAT, excise tax and so on, with a singular tax rate that only varies according to the industry. Who is required to pay GST? GST is to be paid to the government by manufacturers, sellers and service providers. It is not something that directly affects the end consumer, though it will end up getting added to the bill just as it happens currently. 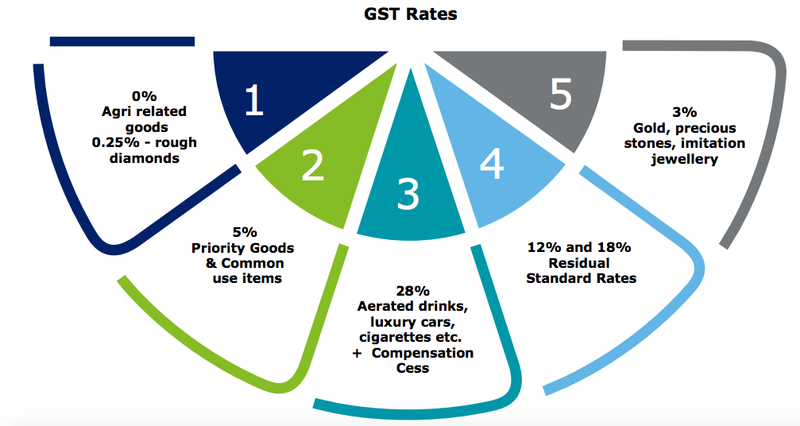 Do the GST rates vary? The latest update back in November 2017 has pegged the GST rates at 5%, 12%, 18% and 28%. How is GST going to be implemented? There is also one more kind of GST that would only be applicable for Inter-state sales, called the IGST. 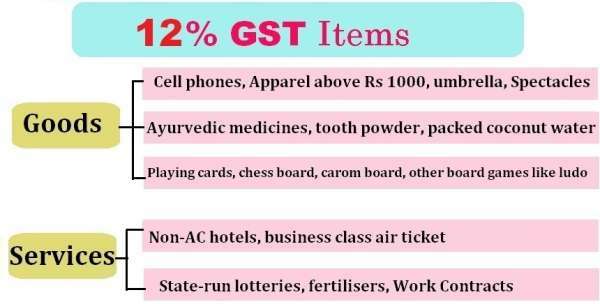 How will GST majorly impact you? The common man would mostly end up benefitting from the new GST rates in place. The benefits would be most felt in segments such as Real Estate, Cabs, Low-tier Hotel Stays, Air Travel and Household Expenses. A small blow might be felt in other segments such as Luxury Goods & Holidays, Tobacco, Drinks and similar. Change has never been an easy pill to take, especially in an economy as large and widespread as India. 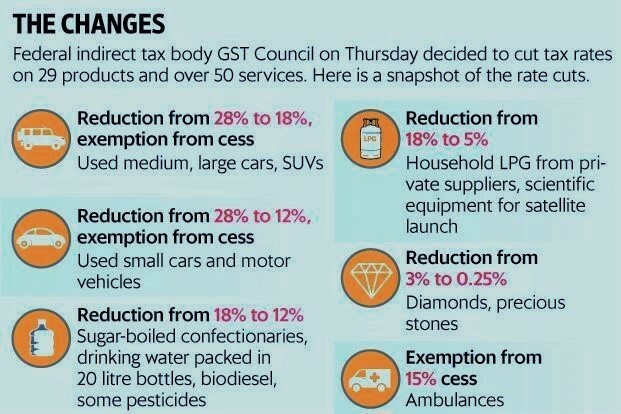 There already are anti-profiteering mechanisms built-in in the new GST regime, however it will definitely take some time for businesses to adjust the price hikes and control the economy from blowing up. Meanwhile, the law promises to bring much-needed transparency to taxation by leveling the state and center taxes, as well as by eradicating all of the other middle-level taxes which could be exploited. The system is changing from a production-based to a consumption-based economy post introduction of GST. The long terms benefits include price falls, easy accessibility, growth of infrastructure and economy on large-scale levels, and much more! Do let us know your viewpoints in the comments below on how GST is impacting you as a businessperson or a consumer over the past few months, and how you envision the new taxation laws to support Indian economy in the future.